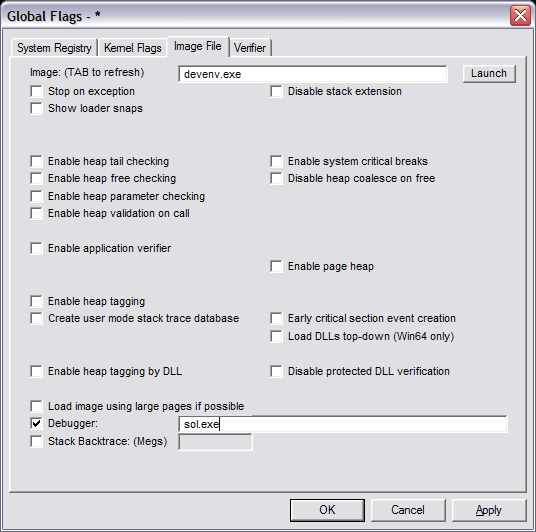 Open gflags.exe. It comes with the Debugging Tools for Windows. Press tab to refresh the form. Check “Debugger,” and enter sol.exe in the textbox. Press ok.
Bask in the hilarity of your sophisticated prank.